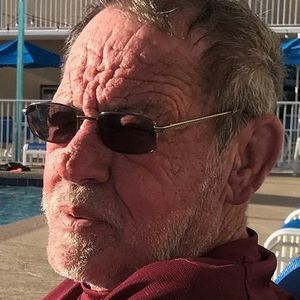 GRAHAM- Charles Stephen Rocke, 72, of Graham died Friday, December 21, 2018 at his residence. Mr. Rocke was born in Muhlenberg County on August 4, 1946. He was an iron worker for Green River Steel, a member of East Union Baptist Church, and a veteran of the National Guard. Mr. Rocke is preceded in death by his parents, Charles and Sybil Rocke. Survivors include his son, Stephen Shane Rocke; daughter, Tracy Chantel Lewis; step-son, Brandon Moore; grandchildren, Braxton Lewis, Jaden Lewis, Hannah Penrod, Christian Magraw; sister, Rosalind (Granvil) Speck; nephews, Randall Speck, Charles L. Speck. Funeral services will be held Thursday, December 27, 2018 at 2:00 PM at Tucker Funeral Home in Central City with Bro. Joe Chambers officiating. Burial will be in East Union Cemetery in Graham. Visitation will be held Wednesday, December 26, 2018 at 5:00 PM at the funeral home. Online condolences can be made at www.tuckerfuneralhomes.com. Tracey I'm so sorry for ur loss, for ur brother and your mom as well Judy is taking this pretty bad, if u need anything let me kno!